Credit to "topher147" for the badge and credit to "xUMG" for the logo. 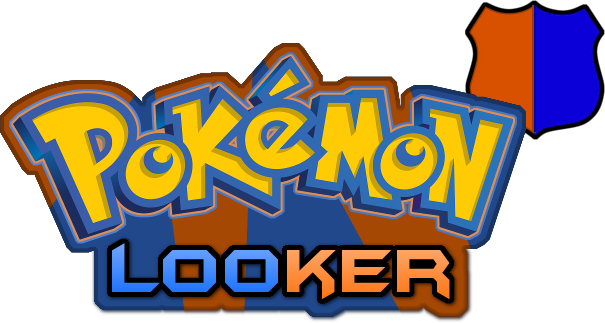 This game is based on the character that first appeared in the gen 4 Pokémon games: Looker. 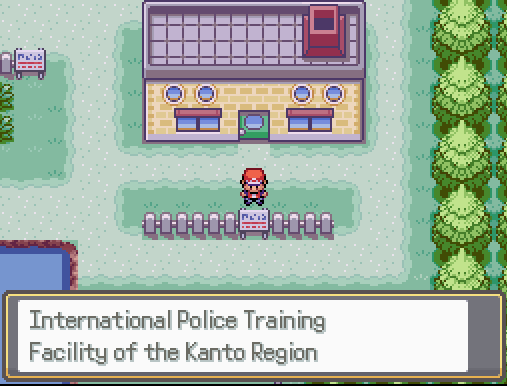 You will play as Looker and go through the rough training that the International Police has prepared for all the trainees, but that's not all. Are you ready to jump in the adventure? 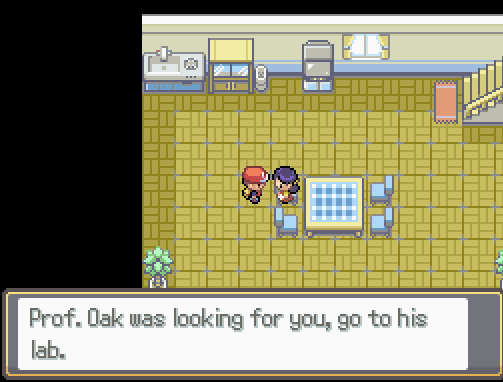 The game starts with you choosing your starter Pokemon from Prof. Oak. 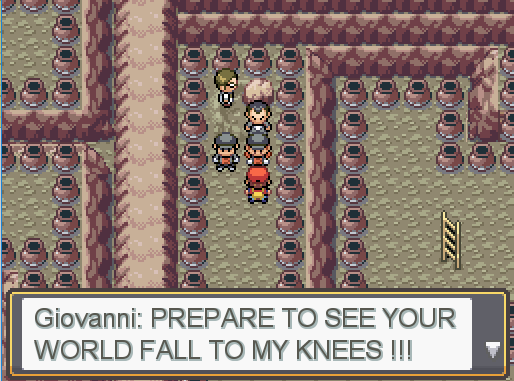 Then you start your training to become an international Police officer, you'll need to collect all the gym badges in the Kanto Region and then beat the elite four and champion, then you need to confront Giovanni and bring the Team Rocket operation down. After that you travel to other regions to investigate some criminals. 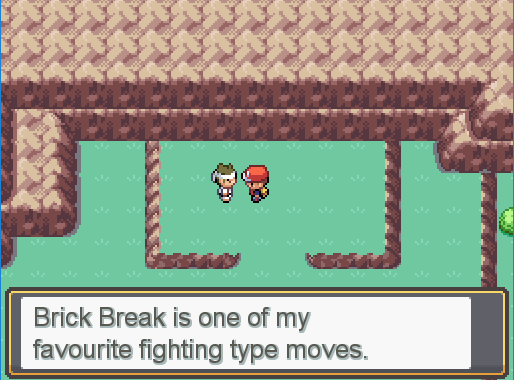 BETA 2.5 ends after you beat Lt. Surge. If you find any bugs please report them to me. I've played a tiny bit of the game, but first I'm going to comment on a few things I noticed about the actual thread. For screenshots I recommend using imgur (that's what I personally use) it's a super simple image hosting website but it allows you to put screenshots in the thread without needing to have people click links. Secondly the story sounds kinda cool, but the idea of going through Kanto again with what looks like default graphics doesn't seem too exciting. 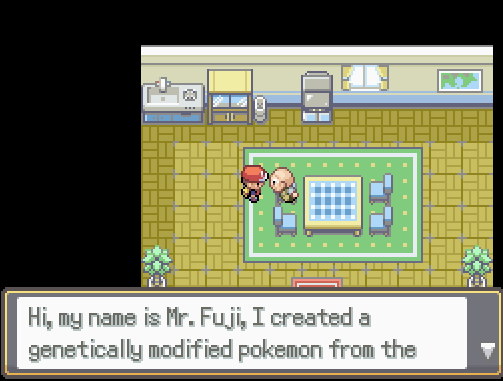 Look at other games that feature Kanto, Infinite fusion has the fusing gimmick that makes everything waay different. And the fan remakes of gen 1 (can't think of them off the top of my head right now) have gen 5 style graphics, really cool new UI with the DS style screens. 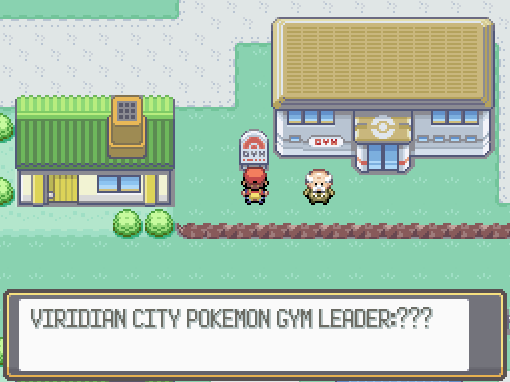 I think a story like yours would fit better in a new region made around this story, maybe even ditch the concept of gyms be as creative as possible. 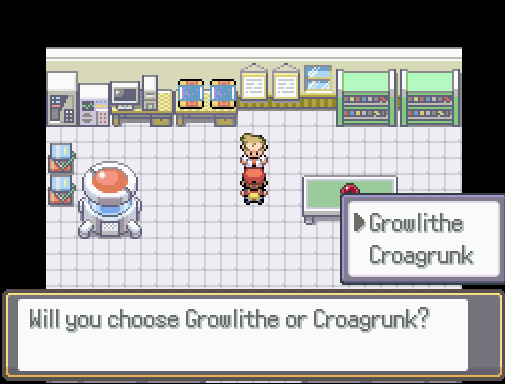 Now with the actual game I have a few comments, I do really like the starters Growlithe is always cool, but Crogunk is a really under appreciated Pokemon so it's cool seeing it as a starter. 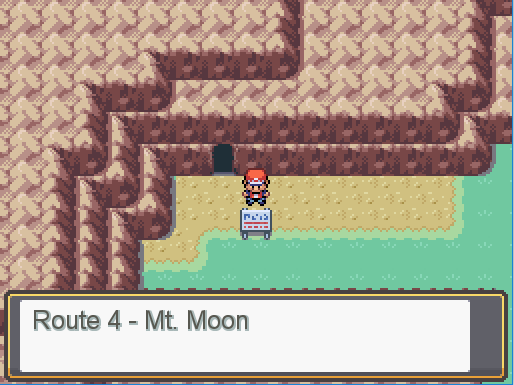 When I went to route 1 however I ran into Pokemon outside of the grass so it seems like you have set up route 1 as a cave? This generally would be okay or just whatever but there is also grass so the issue is consistency the player sees grass and thinks it's a normal route, but than bam wild pokemon outside of grass. The Pokemon I did encounter where also way over leveled (around 10 levels higher) causing me to black out in the first encounter and when it was all over I came back on a black map. Overall I see some potential with this but I really do think you need to take time and refine the idea maybe make an original region with your own plot. I really hope this comment doesn't come off as mean I really hope you're able to make something super cool! I'm working on a new BETA to fix all those issues with over leveled Pokemon and that blank map you were talking about. I'm also planning on releasing a new version, with the "outside platinum tileset". I also thought about making my own region and I will, but you travel to that region later on to investigate some criminal. I still thank you soo much for replying to this thread and reporting the glitches you found. One last thing, how do you put the screenshots directly in the thread without any link (with imgur)? when you upload a pic there should be something like "share link"
then back on relic search for the "Insert edit image" 2 left of "Insert edit link"
While I'm trying to edit the thread, the "img" doesn't apper, but after editing It, the "img" is in the post, so I try to edit it again, and the disappears, so I stop editing and the [img] appears. Just finished fixing the issues about over leveled Pokemon and the Pokemon appearing outside of the grass. Will release the BETA with all those fixes when I finish doing a little bit more with the story. If you encounter any other bugs/glitches , please let me know. He can't because the software used to make fan games is 100% different from what's used to make rom hacks. And making a rom hack for this is quite hard. Nintendo and Game Freak make games on rpgxp, but then the games become gba, how do they do that? They don't? o_0 Lol, what do you mean by this? I mean that Nintendo makes the games on rpg maker and you can play the games on gba (the games for gba). Nintendo definitely does not make their games in RPG Maker. Although I said that because I remember seeing something about Nintendo making games with rpg maker . Lol. Will continue working on the game when my vacation ends, so in about a week. I have already done some things for BETA 3 and I've done my first ever cutscene wich looks quite good, I just need to add some music to it, it's weird without music. I want to add music to the game. Just uploaded a new version: it's BETA 2.5. You might ask yourselves "why did I upload BETA 2.5?" Because I recently got a report from someone saying that there was a bug in Viridian Forest with a trainer, and it was impossible to continue from there. 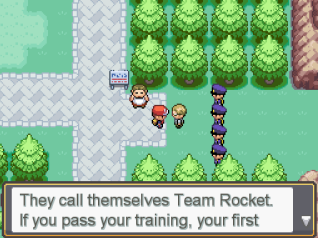 Although I couldn't find the reason for the issue, so I made some new trainer events (the trainer events that I was using before were already in the game for whatever reason), and it seems to be working well. Unfortunately I didn't get the chance tu insert some music in the game, but not to worry I will be adding music for BETA 3 if nothing goes wrong. In BETA 3 you'll see some d/p/pt tiles, although not all the tiles will be changed directly, the tiles will be changed gradually (ex. I'll first of all change the grass tiles and the tree tiles for BETA 3, then for BETA 4 I'll change something else. Lots of graphical improvements for BETA 3.